Reliance Industries has started pre-booking of much awaited the mobile handset from 24th August 2017, evening. This handset will be having 4G Network support feature in itself. Reliance Industries has announced this mobile handset pre-booking price only Rs.500 per handset. Reliance Jio is sending messages to its existing and new customers about the JioPhone and how to do the pre-booking of this JioPhone. Reliance Jio is giving proper training not only to its own sales staff but also Retail Chains like Sangeetha Mobiles and The Mobile Store to promote JioPhone pre-booking and its sale. Subhash Chandra, the managing director of Sangeetha Mobiles said “Our sales people will begin taking prebookings of the JioPhone for Rs 500 and will begin giving the phones when they arrive in September for an additional Rs 1,000,”. This JioPhone handset will be distributed on a first-come-first-served basis through Jio Retailers, Reliance owned Reliance Digital Stores and Multi-brand Device Retailers existed in the market. 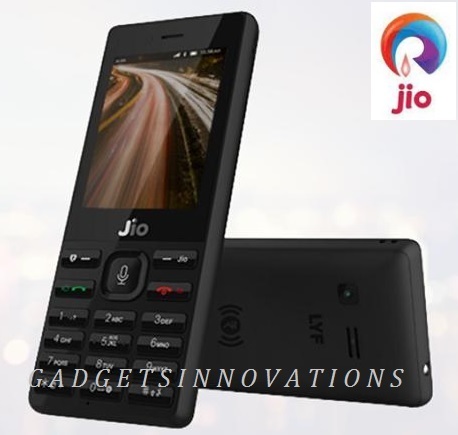 Customer those Pre-booked JioPhone can collect the handset from the specific Reliance Store after they get SMS regarding their confirmation for issue of the handset. Memory Space – It has expansion capacity upto 128GB via microSD Slot available on the device. Battery – It bears a battery that will provide upto 12 hours talk-time.